My Sister: Oh my God! It’s Predator! Mom and Paps: No, it’s not! That’s the Goddess Kali! 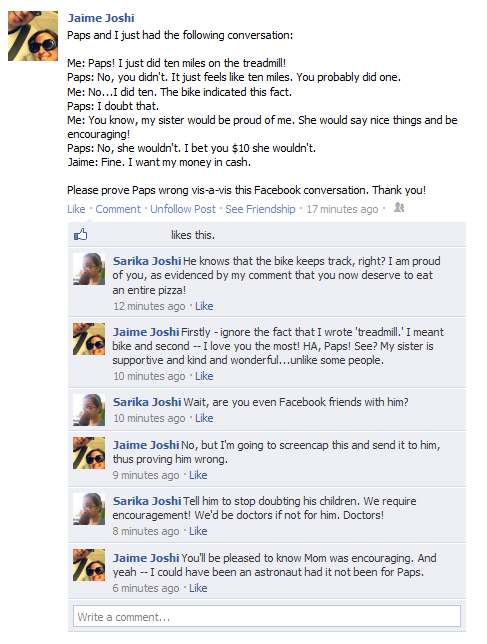 Yeah, I don’t think my sister’s wrong here. See? Call, email, text, Skype, tweet, Facebook or if you’re really lucky, hold them close, breathe them in and tell them face to face. Look At Little Sister Or, No. Seriously, Dudes. My Sister IS Better Than You. I was a bit self-absorbed as a child. I’m a bit self-absorbed as an adult. As a relatively reasonable and rational facsimile of an adult, I understand that my parents didn’t have another child just so I would have a playmate….but despite my myopia, I’m still right because my sister is not only my best friend but the best person I know. My sister inspires me to be a better person. To be smarter, to be much more curious and critical of the world around me. To be more compassionate and to have better taste in pretty much everything. So to my sister, my best friend, my hero – I love you! Let’s get Polar Seltzer Water soon! Oooh! Maybe we can make floats? 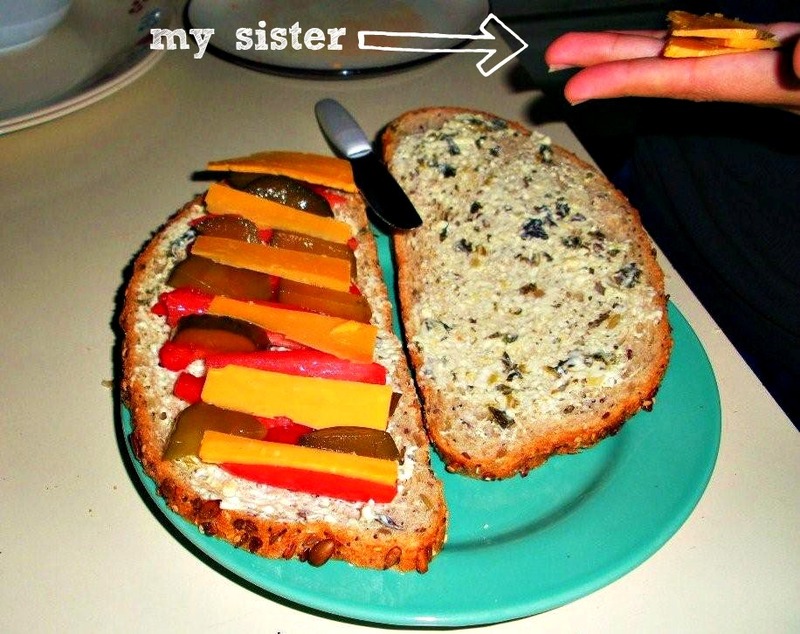 My sister makes awesome sandwiches and Paps sends me pictures of them. Yeah. My Sister Is Better Than You. You Don’t Care About This Or, My Sister Is Better Than You. 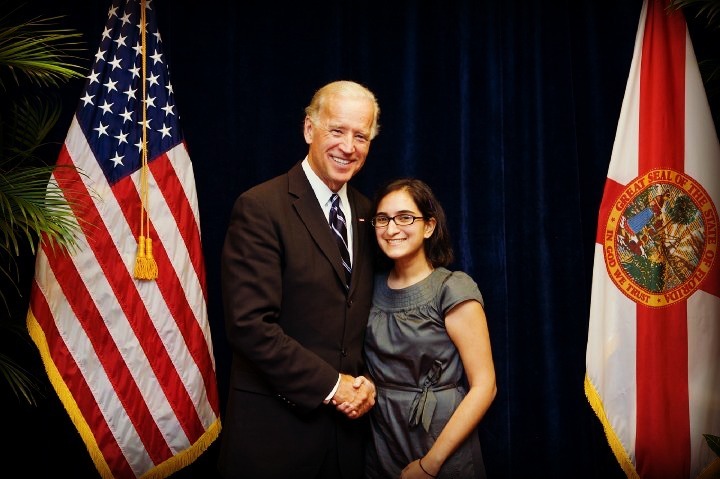 This is my sister and the vice-president of the United States, Joe Biden. She is better than you. My sister: I wish you could come over so I could make you macaroni and cheese. Me: That is the nicest thing anyone has ever said to me. This says a lot about my sister and even more about me. 1. I just made $10. Well, actually $5 because I’m splitting my reward with my sister. 2. 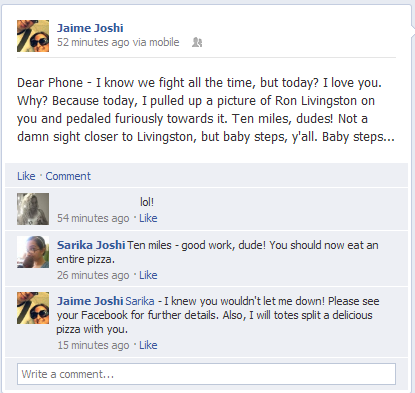 My sister is awesome and next time we hang out, we’re totes eating a whole pizza and watching Veronica Mars. 3. I probably could not have been an astronaut but that doesn’t mean we don’t deserve encouragement.